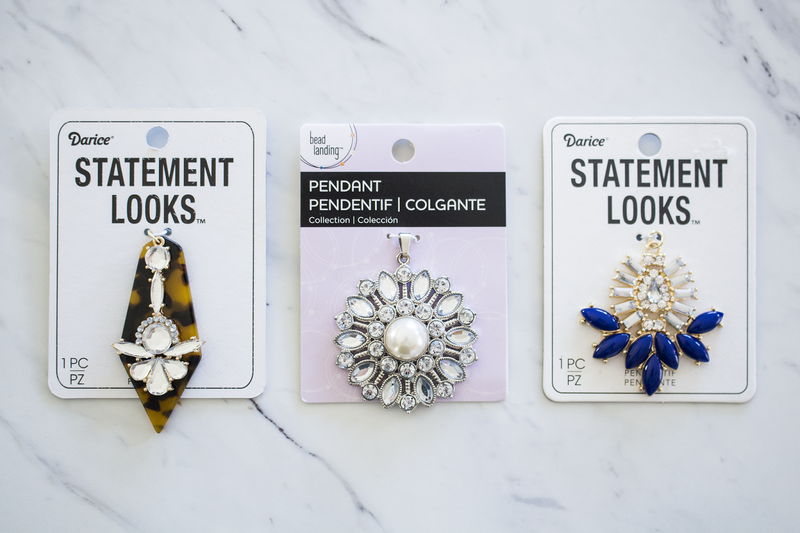 One item of jewelry that has come back in style (did it ever really go out of style?) is the brooch. 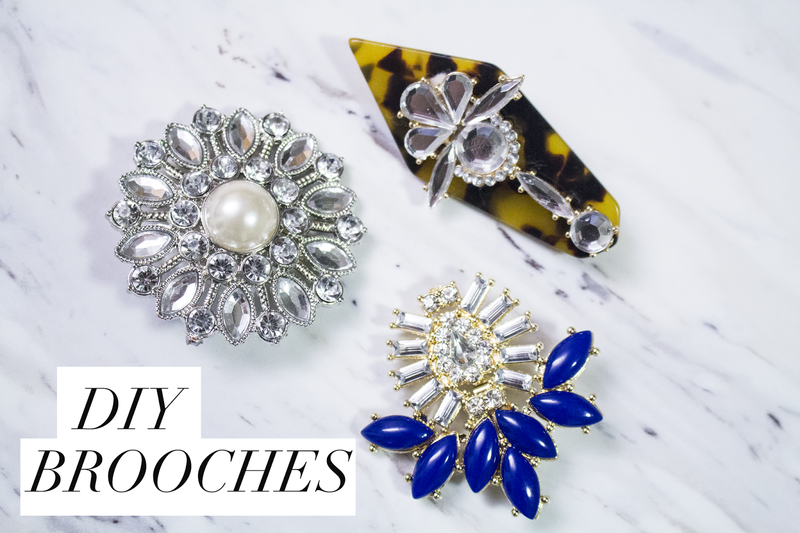 Some may think brooches are "old lady-ish," or tacky. My personal take is that they add an element of glam that is classic and timeless. 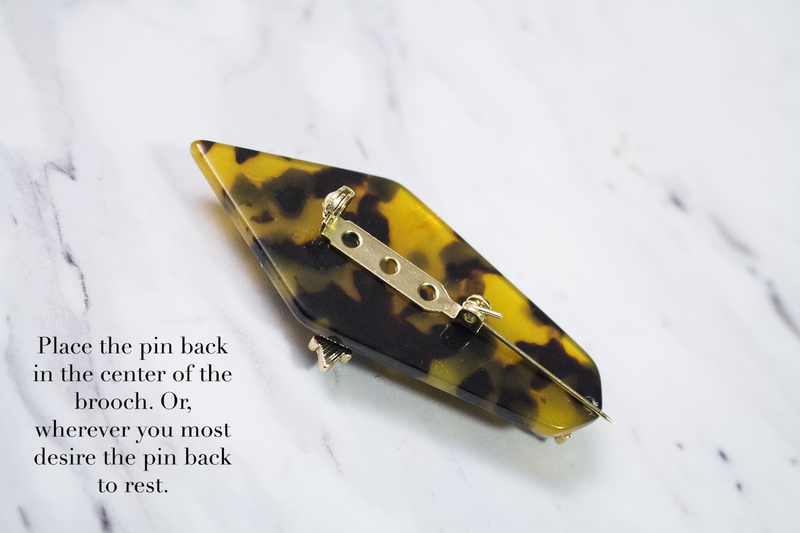 While I was reading through some posts that contained brooches, I realized that I had none of my own. 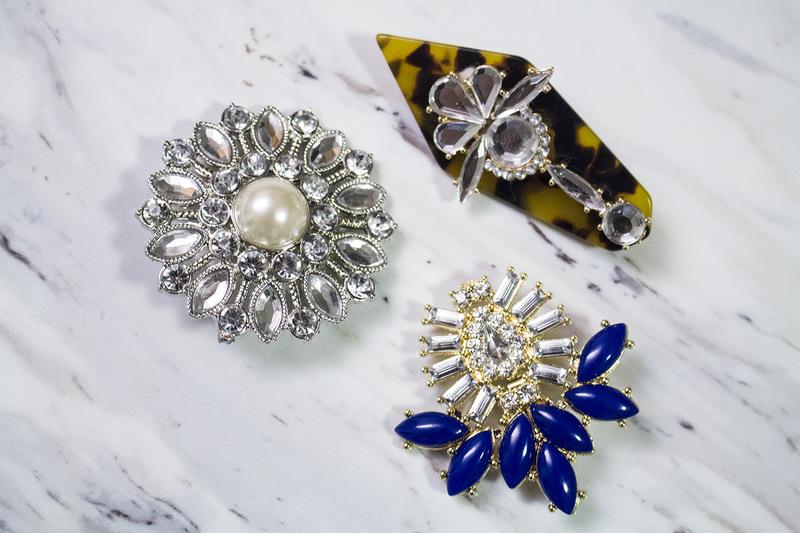 I really want to get my hands on some vintage brooches, but until then, I made my own! 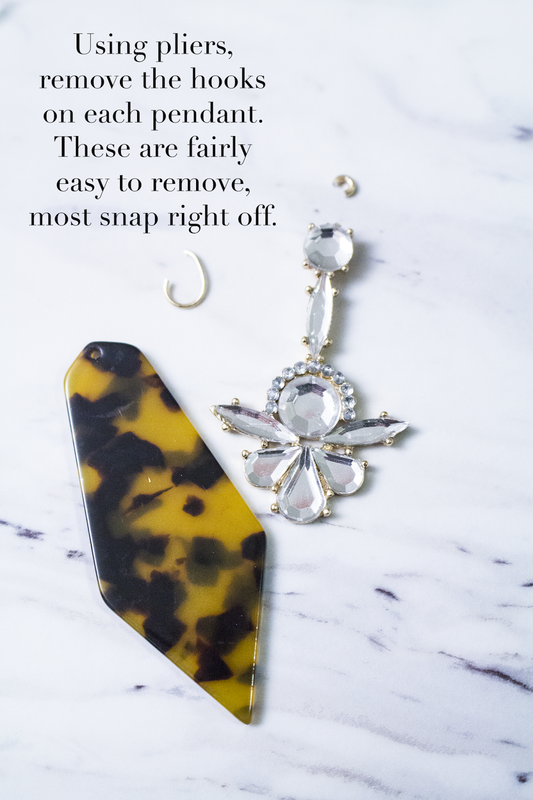 You will want to remove evidence that the pendants are actually pendants. 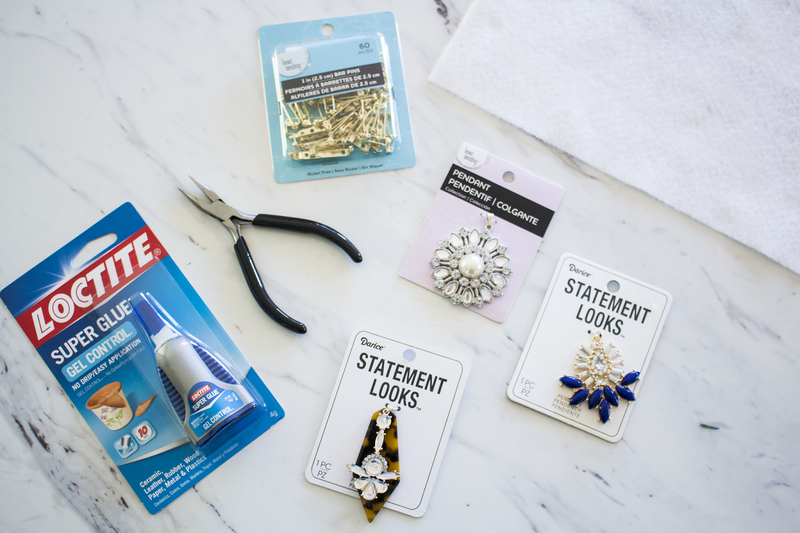 The hooks that are on them to be used on a necklace are easily removed. Take your pliers and snap it off! Since this pendant had two separate pieces, I simply super-glued them together. 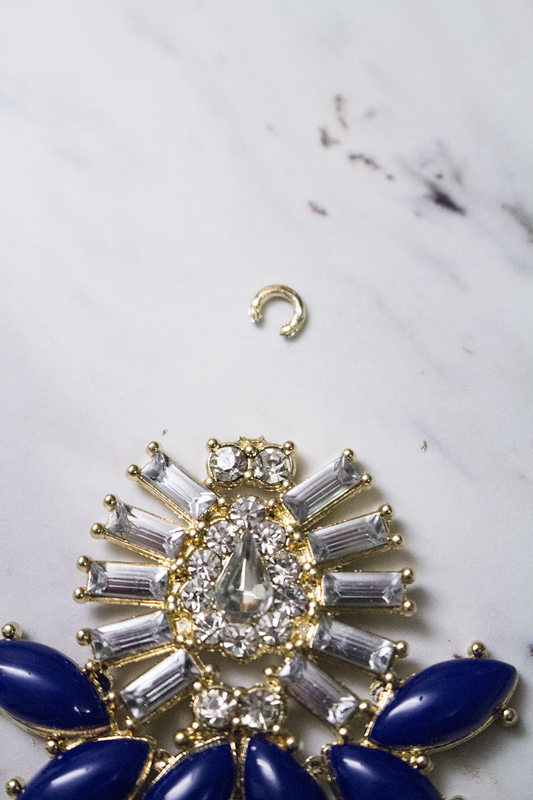 Once dry, flip the pendant over and place the pin back in the center. 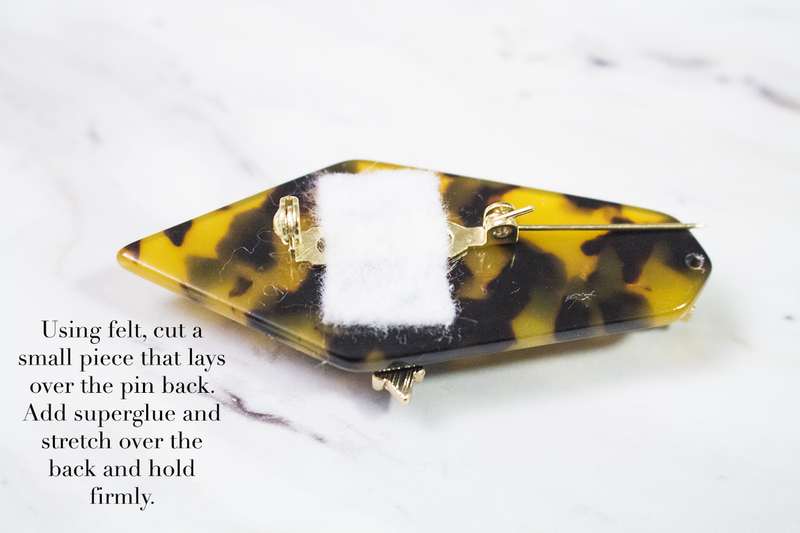 Cut a small piece of felt and stretch it out, then place it over the pin back to make sure it's the right size. Superglue the felt down and let dry! And thats it! These are so simple and easy to make. I want to branch out and make more lavish brooches for the upcoming holiday season, but for now, these are perfect! What do you think? P.S. 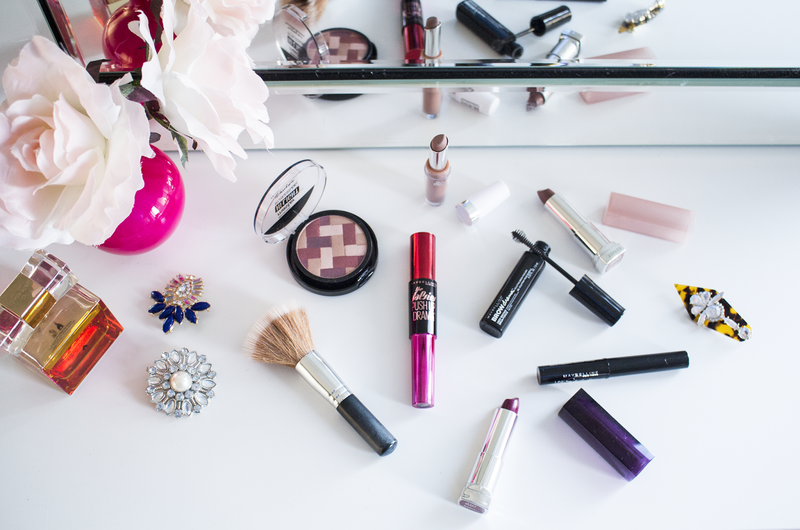 These beauties made their appearance in yesterday's post…how pretty do they look? 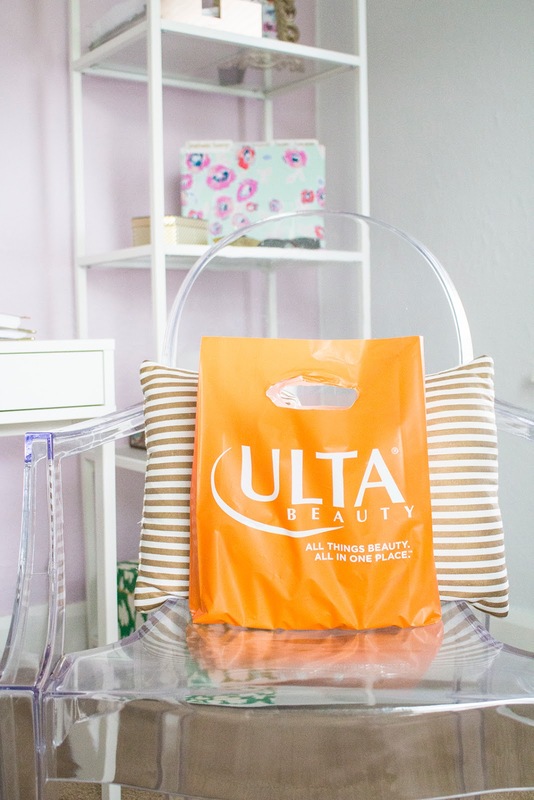 Cold Weather Essentials: Save or Splurge? On The Weekends, We Shop: Pajamas!